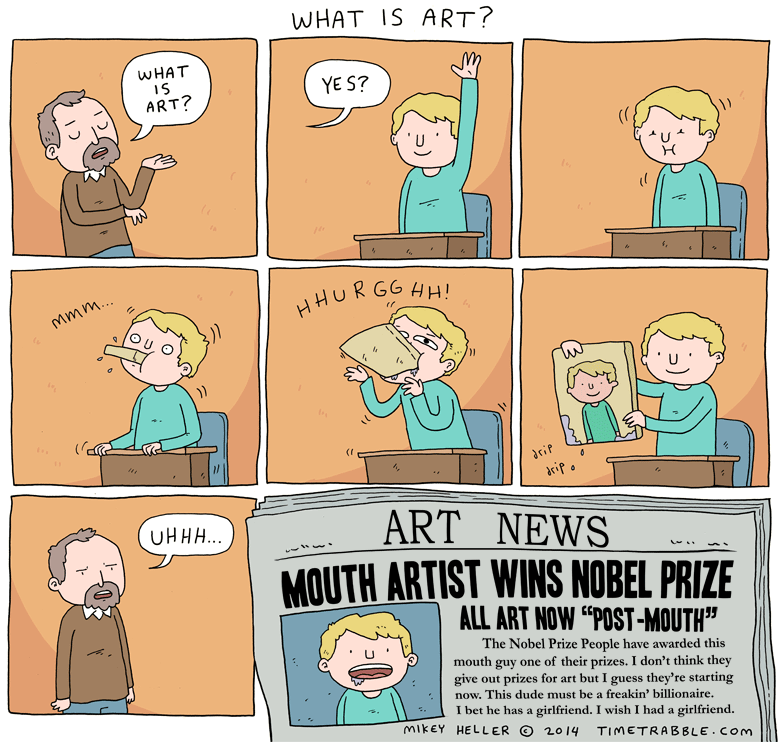 I would like to say right now that the only thing I’m saying with this comic is that I think stuff coming out of mouths is funny. The copy on the newspaper is hilarious! If you read it backwards, or right to left like how you read a manga book, it makes the comic a million times funnier! !